Students can usually complete the course in 4 – 6 week, but you’ll have 6 months of access from the purchase date. This innovative online music theory course prepares first-year music majors for music theory placement exams. 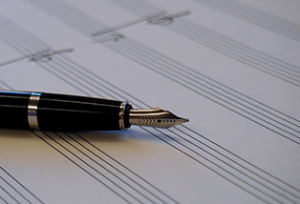 In addition to the presentation of basic music theory concepts and terminology, eTheory includes over 200 sets of writing, playing, listening, singing, and conducting exercises. These lessons provide a smooth transition between high school and college-level academics. The course can be completed in four to six weeks. Students will gain the most from eTheory by working on the program at least one hour daily. eTheory: Music Theory Fundamentals was designed by a team of professionals at the Eastman School of Music’s Institute for Music Leadership. Steven Laitz, a nationally recognized figure in music theory and analysis, authored the course. Interested in eTheory: Music Theory Fundamentals in 4 weeks? Here is the Course Syllabus, describing the topics and concepts you can expect to cover.